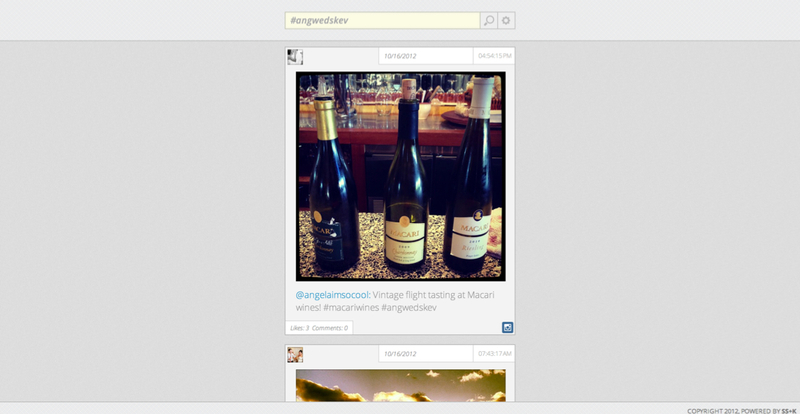 Oh Say Can You Sing was an experiment in crowdsourcing the National Anthem through lyrical Vines videos. 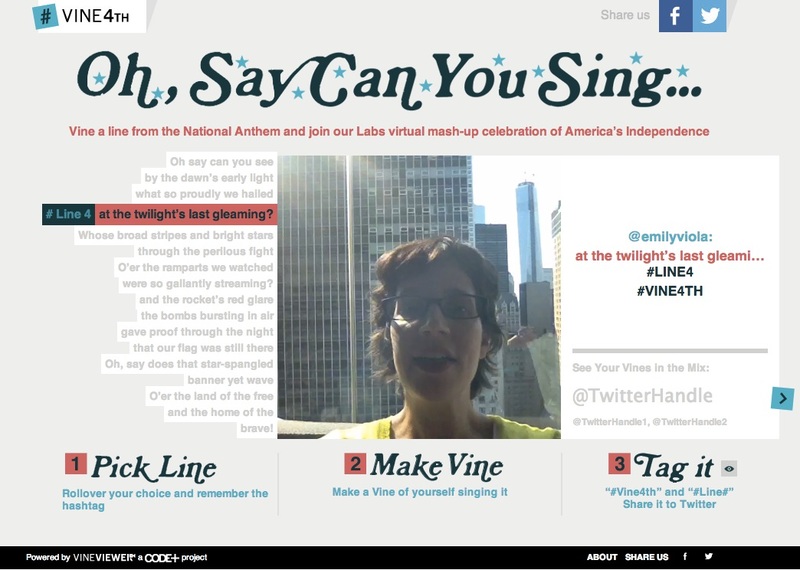 The public was invited to sing a line of the National Anthem on Vine and tag it #Vine4th, where it was stitched together seamlessly to complete the full song. 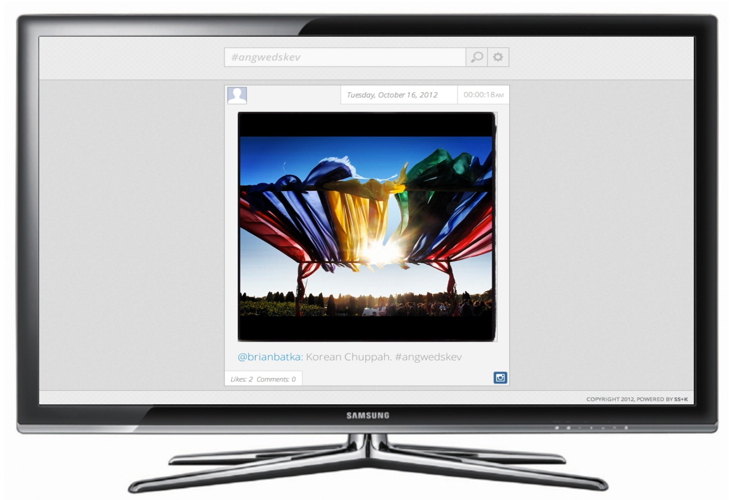 Skobot is social media live streaming application built to display social media content that is generated during live events. 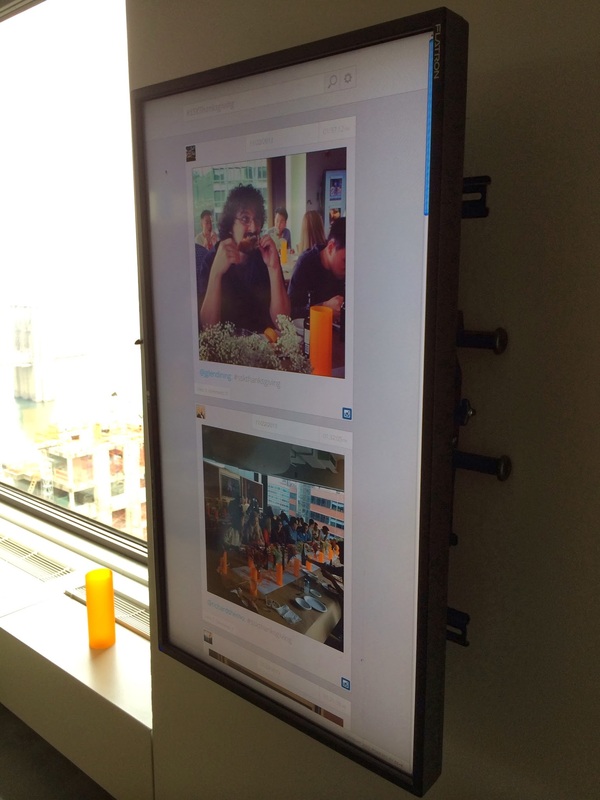 Skobot was designed for a “lean back” experience, visually optimized for display on large screens and viewable from a distance. 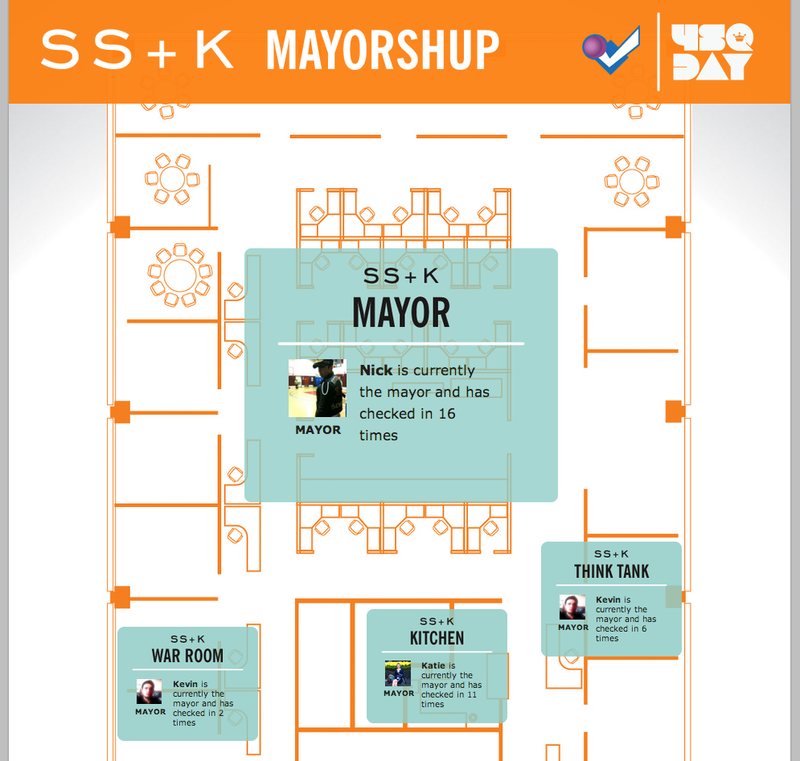 We turned SS+K’s agency floor plan into a massive interactive Risk game powered by Foursquare check-ins. 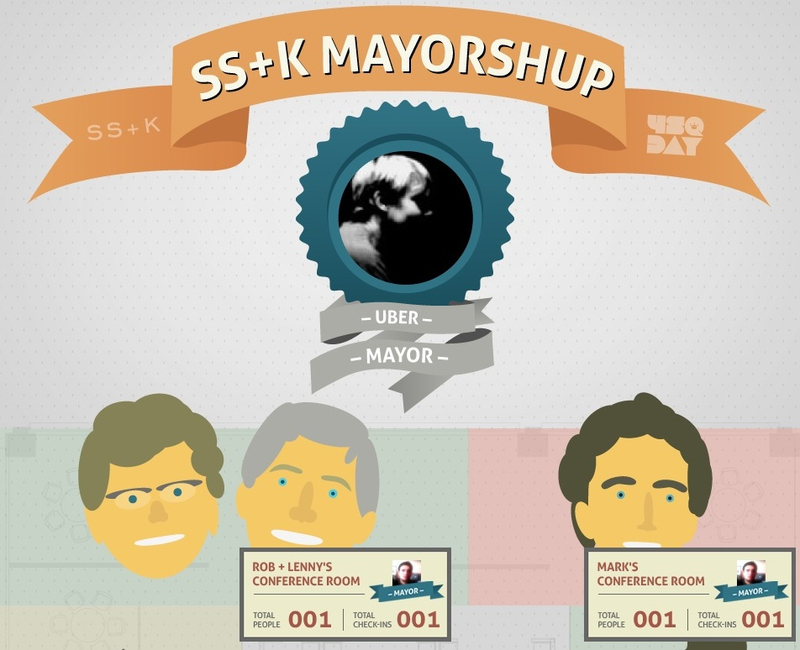 The ‘mayor’ of each SS+K location controls that property, and the person who controls the most locations is the king of the office and winner of the game.